"SQIP" (pronounced \skwb\ like the non-magical folk of magical descent) is a SVG-based LQIP technique. 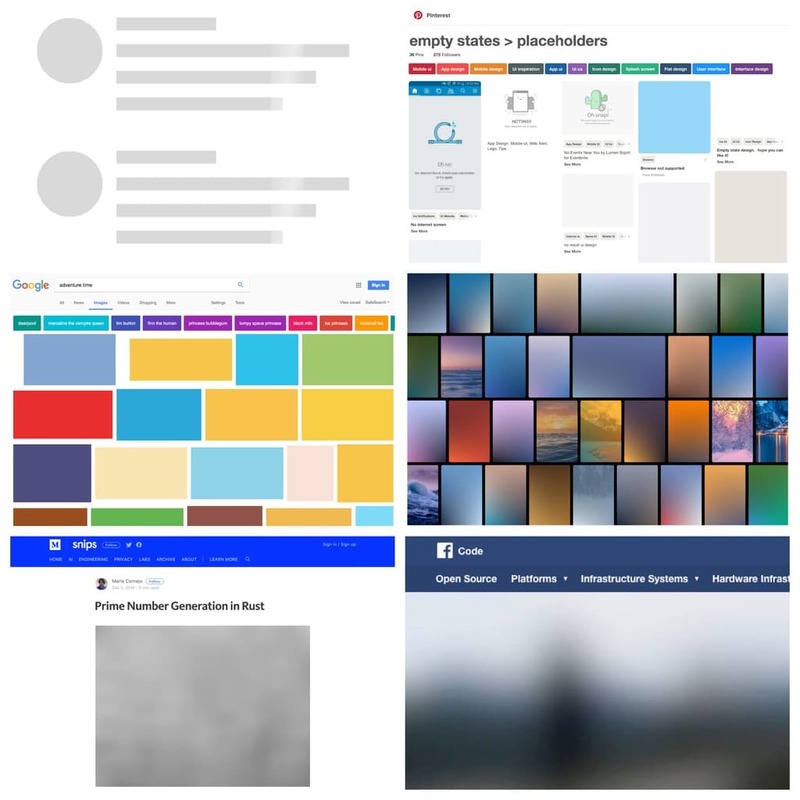 Image placeholders are a thing: from grey boxes in skeleton screens over boxes that show the predominant color of the image that will later occupy the space and CSS color gradients made from two dominant colors up to actual low quality raster images downscaled to a few pixels, saved in low quality and then blurred to provide a preview of image contents. Many major players have adopted one of these image placeholder techniques: Guypo incepted LQIP in 2012 and Akamai adopted it as part of their image optimization tools, Google started using colored placeholders a long time ago, Facebook, Pinterest and Medium made a significant impact with their LQIP implementations and the most popular include LQIP implementations. On the low end of the bytesize spectrum of image placeholder implementations, we have skeleton screens and colored boxes, weighing only a few extra bytes each, but providing no preview of image contents. On the high end of the bytesize spectrum, the LQIP technique ships an actual raster image, which gives a good initial impression of image contents to come, but weighs more heavily in bytesize. If we disregard Facebooks's native-app implementation of shipping a custom image decoder that enables them to hardcode image headers, the current minimum bytesize for LQIP raster images is ~400-600 bytes. At this byterange, the preview image often looks distorted and coarse, especially on HiDPI screens. Many other LQIP implementations go for preview images of ~2kb in size, which provides a much better initial visual impression but comes at the cost of significantly increased bytesize for the LQIP implementation. SQIP is an attempt to find a balance between these two extremes: it makes use of Primitive to generate a SVG consisting of several simple shapes that approximate the main features visible inside the image, optimizes the SVG using SVGO and adds a Gaussian Blur filter to it. This produces a SVG placeholder which weighs in at only ~800-1000 bytes, looks smooth on all screens and provides an visual cue of image contents to come.